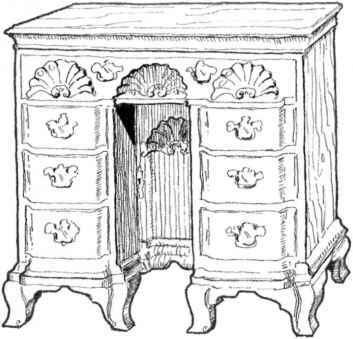 Much early American furniture came here with the first immigrants, including, most famously, the Pilgrims. 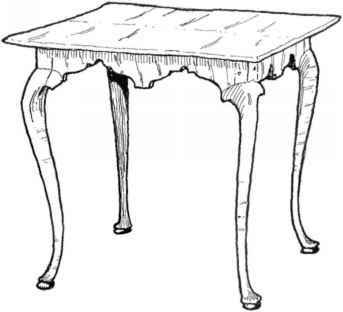 They brought-and then made-oak pieces typical of the Jacobean, William and Mary, and Carolean periods in Britain; pieces that retained a strong Gothic influence, sturdy pieces, heavily carved pieces, pieces with cup-turned legs and bun feet. 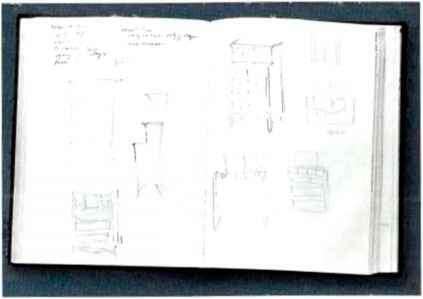 Much of the work from this Early Colonial Period is representative of a utilitanan life. The Mahogany Period (late Colonial), covering the first half of the 18th century, roughly parallels the periods known in Britain as Queen Anne and Georgian. 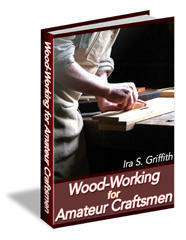 Walnut gave way to mahogany as the predominant wood, and the beginning of the period saw a sudden simplification of style into a less ornamented and more severely elegant aesthetic. 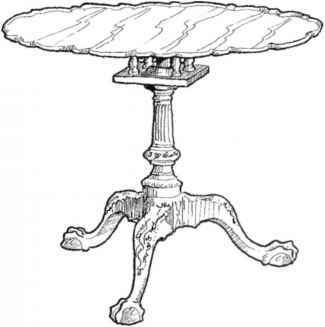 Perhaps the most typical element is the cabriole leg, at first plain and finished with a simple turned pad foot, and later developing into a highly carved element complete with ball-and-claw, hairy-paw, or lion's foot. 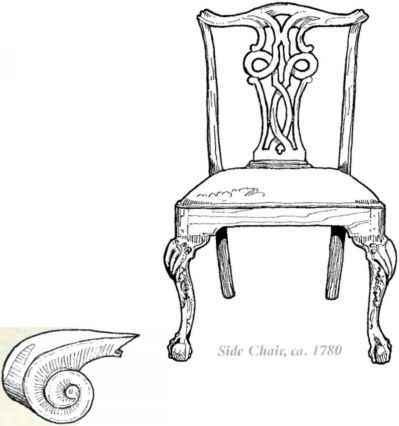 Furniture was made by cabinetmakers rather than joiners, and the list of American Chippendales is long (Thomas Chippendale was the most famous English cabinetmaker of the period and by whose name furniture of the middle of the period is often known). It includes the God-dards and Townsends of Newport, R.I., and many notable Philadelphia makers, including William Savery, Thomas Affleck, and Benjamin Randolph.